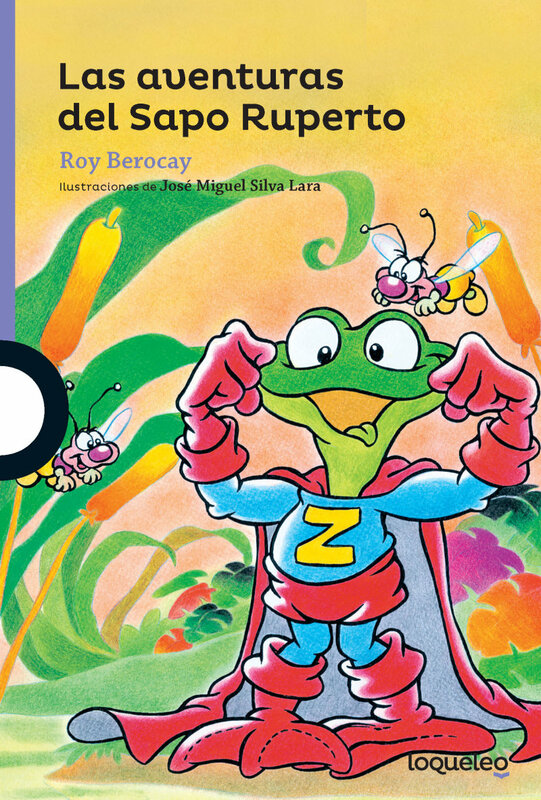 In my Spanish learning journey, I have discovered the unique and cheeky world of Sapo Ruperto. He is a toad who lives in el arroyo Solís Chico in Uruguay and he has adventures. Sometimes he helps to rescue whales, sometimes he becomes a superhero, sometimes he becomes a detective, and once he got married. These children’s books have brought me great joy and delight, not to mention Uruguayan Spanish vocabulary. My friends Javi and Carla have two of the greatest kids. Both are delightful to be around, both enjoy games as much as I do, and both are these fascinatingly mature teenagers whom I want to clone and put in every one of my classes. Juan is in the equivalent of 10th grade and Cata is in 8th grade. Not only do I love going over to Javi and Carla’s house for the ambiance, but I love going to spend time with Juan and Cata. They give me hope for the world. It also reenforces my profound belief that kids are products of their parents and upbringing. And Javi and Carla have done one hell of a job raising these two gems. Cata reminds me a lot of myself when I was her age (if I had been way cooler, smarter, and kinder). All of the great stuff that I loved about me in 8th grade – my ambition, my drive, my curiosity, my creativity are coupled with qualities I lacked – profound empathy, artistic ability, confidence, self-assurance, and global awareness – are bottled up in this amazing young woman. When I talk to her, I often forget that I am speaking to someone her age. We geek out over Harry Potter – she is a true Gryffindor whereas I am a straightforward Ravenclaw. We have successfully played on the same team for Sequence, which most of my people know is a make or break for me. We have participated in some epic dance parties and belted the national anthem of Uruguay. Cata is one cool chica! One of my first days back to school, Carla comes into my room and tells me she has a surprise. In her hand is an envelope that says “Para Kim.” I open the envelope to a typed letter. “Do you know who it is from?” Reading the first few lines a cannot piece it together. Hola, de el arroyo Solís… “Turn it over,” Carla instructs me. With the salutation it clicks. This is a letter from THE Sapo Ruperto! Cata got it into her head to write the author, Roy Berocay, about me and my situation. She told him that I am an American learning Spanish who stumbled upon his books and fell in love. The rest of the details I am not privy to. All I know is that this man wrote her back and told her that he was very busy, but he had a special friend who would like to help him out. That special friend was Sapo Ruperto. Written in the voice of the little toad was a personalized letter to me. There were parts about how his English was not so great but he was fluent in bichos, cangrejos, y pescados. There was an invitation to come see him at el arroyo Solís. This was by far the COOLEST and MOST THOUGHTFUL gift I have ever received. Of course I cried. And of course I racked my brain on how I could thank Cata for her kindness. And nothing came even close to matching the emotions that I felt at that moment reading the words of a little Uruguayan toad to an American school teacher. So, all I can say is thank you, Cata. With every bit of my heart, thank you. You have made me feel so special and loved. Thank you, true Gryffindor for your bravery and boldness when seeking out Roy Berocay. Thank you, thank you, thank you, thank you!